CSEE Professor Marie desJardins has been named as UMBC’s Presidential Teaching Professor for 2014-17. 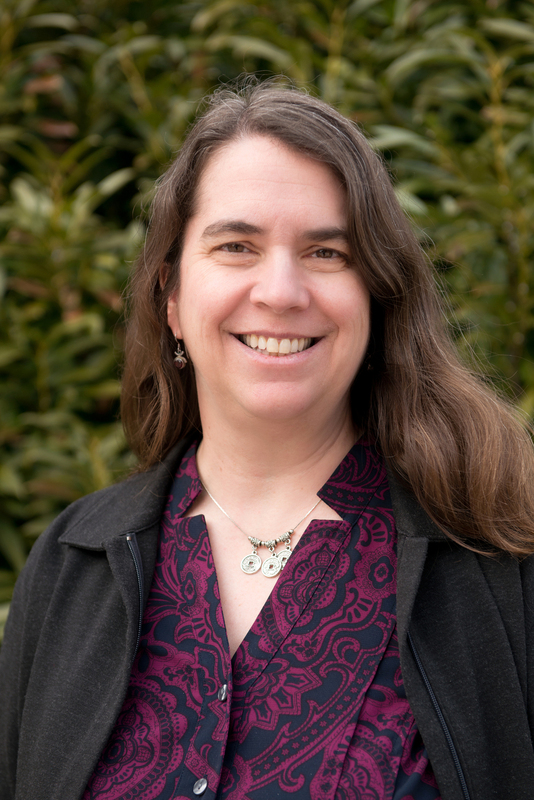 Dr. desJardins joined the UMBC faculty in 2001 after earning her Ph.D. in computer science from UC Berkeley and spending ten years at SRI International as a research scientist. She has made significant contributions to the fields of artificial intelligence and machine learning, published over 100 peer-reviewed papers, brought over six million dollars to UMBC as PI or co-PI in external grant funding, and held leadership positions in the top professional organizations in her field. Dr. desJardins is an outstanding teacher, earning praise from students in courses from freshman-level courses for non-majors to specialized graduate-level seminars. She was named one of UMBC’s “Professors Not to Miss” in 2011 and is one of the first cohort of Hrabowski Academic Innovation Fellows. She is also well known for mentoring students at all levels, having graduated ten Ph.D. and 22 M.S. students, mentored over 50 undergraduates in research and served on the dissertation and thesis committees of more than 30 other students. She was recently recognized for mentoring by the National Center for Women & Information Technology, who selected her as one of four awardees of the 2014 NCWIT Undergraduate Research Mentoring Award. Within the department and university, Dr. desJardins’s commitment to teaching and student success goes far beyond the classroom. She has served as the computer science undergraduate program director and led an effort to redesign the introductory computing course to better serve new students. In addition to mentoring her own graduate students, she is the Faculty Advisor for the Women in Science and Engineering Graduate Association and a member of the Center for Women in Technology Advisory Board. She is regularly invited to participate on panels, give presentations in the Honors Forum and other campus events, and to run workshops for graduate students and junior faculty. Outside of UMBC, Dr. desJardins has built an international reputation as an advocate for high-quality education, mentoring, and diversity at all levels of the profession. She has been chair, mentor, reviewer, and/or panelist of the AAAI/SIGART Doctoral Consortium for the last 14 years; this event has provided valuable feedback and mentoring to hundreds of computing graduate students during that time. She co-founded the AAAI Educational Advances in Artificial Intelligence annual symposium. She regularly publishes articles on her research and innovations in computing education, including tools and techniques for classroom teaching, new courses, and analyses of the state of computer science education at the high school level. 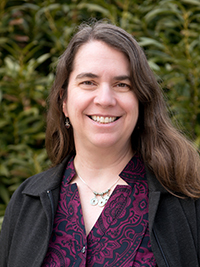 Dr. desJardins is also a nationally recognized leader in computer science education and has received multiple NSF awards to support her work in this area. She gives frequent presentations around the state and the country on high school computer science education and preparing a diverse population of students to succeed in computing careers. She is a founding member of the Maryland chapter of the Computer Science Teachers Association, and has organized several professional development workshops for high school teachers. Her NSF-funded CE21-Maryland (Computing Education for the 21st Century) grant explored the landscape of high school CS education in Maryland, culminating in a statewide summit for educators, administrators, and community members that was held at UMBC in May 2013. A recent NSF CE-21 grant will result in curriculum creation and professional development for 100 Maryland high school teachers, focused on the new CS Principles course that is scheduled to become a new AP offering in 2016. Other funded grants in the educational arena include her Hrabowski Innovation Fund award to create the ACTIVE Center, an NSF TUES award that is developing a new freshman-level computing course, an NSF T-SITE grant to build a community of transfer scholars in IT/engineering, as well as multiple smaller awards to run workshops and support graduate student development. We congratulate Professor desJardins for her selection as Presidential Teaching Professor and look forward to the Presidential Faculty and Staff Awards ceremony on Wednesday, April 2 in the University Center Ballroom. Not only is she an outstanding and dedicated classroom teacher, her contributions to research, teaching, mentoring, and educational innovations have been broad and sustained.